Undoubtedly one of the busiest cities in the world, with bustling airport terminals to match, New York is a hub for international tourists, residents and commuters alike. The city never sleeps and is alive day and night offering all kinds of attractions and business opportunities. Getting around in this modern metropolis can sometimes be a real headache with traffic jams, accidents and stop lights all hindering transport between your destinations. Rather than simply jumping in an untested Uber, many professionals make use of a corporate limousine service to get them from A to B in the most efficient and reliable way possible. 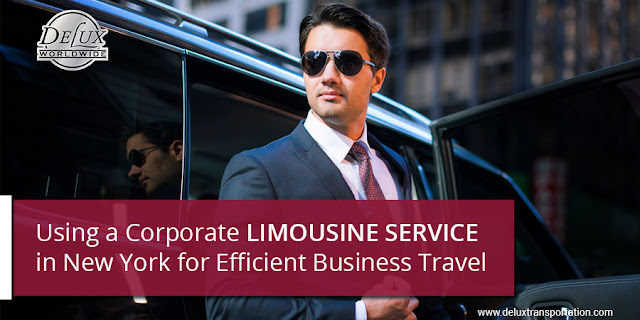 Here we’ll be taking a look at some of the best reasons to use a corporate limousine service when traveling for business purposes. New York has been the setting for countless cinematic love stories, its iconic streets and buildings have served as the backdrop for unforgettable meetings between silver screen lovers for decades. Who can forget When Harry Met Sally in Katz Deli, when Meg and Tom met atop the Empire State Building in Sleepless in Seattle or Holly Golightly and Paul Varjak’s passionate embrace on a rainy New York evening in Breakfast at Tiffany’s. New York is the city that never sleeps, it's where dreams are made and romance blooms - New York is the perfect destination for a romantic weekend away with your loved one. When you land in New York forget the subway or the bus, arrange for New York Airport Transportation to pick you up and take you to your hotel. Your personal driver will carry your bags to the car and transport you in style and ultimate comfort through New York’s iconic streets.